The Alps Residences is an upcoming sophisticated development inspired by the Swiss Alps where tranquility and serenity meets. The Alps Residences’ design and architecture are reminiscent of the mountainous region it is named after. Situated closely to the Tampines Regional Centre, it is located in a private residential enclave along Tampines 10. Set closely next to the Bedok Reservoir Park and Tampines Quarry Park, residents will be enthralled by the surrounding serenity and calming ambience. The Alps Residences is by renowned developer, MCC Land and will yield about 626 stylish condominium units. With various selection of unit mix ranging one to five bedroom units. Luxurious single level penthouses of four and five bedrooms are also available as well. Experience integrated urban living from a multitude of facilities such as Floating Pavilion, Cascading Garden and Reading Cove within Alps Residences. For the residents who are outdoor enthusiasts, they can simply indulge in their favourite outdoor recreational activities in the nearby Bedok Reservoir Park. Being surrounded by several mega shopping malls such as Tampines Mall, Tampines One, Ikea Tampines and Changi City Point, there is no longer a reason for one to travel to the city for any major shopping needs. Alps Residences is well accessed through expressways such as Pan Island Expressway and Tampines Expressway. Several schools can be found within the vicinity as well, they are St Hilda’s Primary and Secondary Schools, Junyuan Primary and Secondary Schools, Tampines Junior College, Temasek Polytechnic, etc. The upcoming new launch is also near to SUTD – Singapore University of Technology and Design which will be a new University of Singapore. [/vc_column_text][vc_column_text]Located right next to Bedok Reservoir where a wide range of water sports facilities are available for quality family time. Established Institutions are nearby including Temasek Polytechnic and Poi Ching School. Various Layouts available to suit different individual and family needs. Developer with extensive experience in the local property scene with various projects under its arm such as the nearby The Santorini. Easy access to the nearby Tampines Hub with various shopping centres such as Tampines One and Century Square. A short drive away from Changi Airport where a range of shopping and eateries are at the disposal of the owners. [/vc_column_text][vc_empty_space height=”2px”][vc_column_text]Riviera Point, at the heart of district 7 enjoys a 500 metres frontage of the Ca Cam River and will feature 2,400 waterfront apartments and recreational facilities, offering luxurious waterfront living right next to the commercial centre of Phu My Hung, an established residential township. The development will feature residential towers above a podium, and infinity pools overlooking the river and the commercial centre of Phu My Hung. A retail and food and beverage belt will be developed along the river promenade, allowing for al’fresco dining. – A center for international finance, trade, accommodation, entertainment, cultural, scientific, high technological and tourism development in Vietnam. – A city of projected population up to 10 million people over the next decade. A movie room featuring a big screen. 8. Strong Rental demand – est.49% residents are rental tenants. [/vc_column_text][vc_column_text]To the east of the CBD lies Melbourne’s cultural centre. Explore what real community living feels like in vibrant Box Hill. At the seminar John Morley, Managing Director of JOHNS&CO, will guide you through the transition from completion to handover. Due to limited space please RSVP with your preferred date as soon as possible. Places will be allocated on a first come first served basis. [vc_separator][/vc_column][/vc_row][vc_row][vc_column width=”1/4″][vc_single_image image=”7972″ img_size=”full” alignment=”center”][/vc_column][vc_column width=”3/4″][vc_empty_space height=”48px”][vc_column_text]Ku Swee Yong’s Real Estate Riches, Building Your Real Estate Riches and Real Estate Realities have become a valuable resource for property investors in Singapore during the past few years. In his new book, he takes stock of the prolonged downturn and weak market conditions and offers useful defensive strategies in the face of supply gluts and weakening prices. Swee Yong is the CEO of Century 21 Singapore and the Key Executive Officer of International Property Advisor Pte Ltd. in Singapore. He was a Director in the Real Estate Centre of Expertise at Société Générale Private Banking, responsible for advising clients on real estate investments, the Director of Marketing and Business Development at Savills Singapore and the General Manager at Far East Organization’s Indonesia office. Invest in Freehold Bridge Retail Shopping Mall with Guaranteed Rental Returns of up to 70% for a period of 10 years. Invest in Freehold Bridge SOHO Offices with Rental Returns of up to 39% for a period of 3+3 years. Invest in Freehold The Peak Residential which share the same address as Shangri-La Hotel with Rental Returns of up to 12% for a period of 2 years. The New Era of Living – First Worldwide Launch. IDEO MOBI ASOKE is a 36 storey tall development located at at Phetchaburi Road, just 290metres to MRT Petchaburi and 320metres to ARL Makkasan. It is in between 2 Central Business District – Existing ASOKE CBD and New CBD – RAMA IX where the future Super Tower and Bangkok Stock Exchange will be located at. It comprises of 507 residential units (Studio, 1 bedroom, 2 bedroom units) and 1 retail unit (Starbucks 205sqm). This will be one of the most iconic development along Petchaburi Road as it incorporates Smart Location, Smart Design, Smart Safety and Smart Facilities which will bring about The New Era of Living. 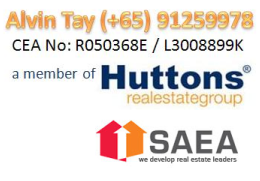 Prices starts from on estimated THB170,000 per square metres and units are expected to sell out fast. Bangkok has been consistently ranked amongst the top 10 tourist destination in the world! From 2010 to 2015, averages prices of freehold downtown condo units have risen by at least 60%! Super Prime Location 2 X CBDs – MAKKASAN PRECINCT, ASOKE PRECINCT and RAMA IX PRECINCT! MAKKASAN PRECINCT – A 300 billion baht public-private partnership project covering a massive 497 rai (~800,000 sqft) site next to the MakkasanARL station, the MakkasanProject will comprise green spaces and commercial developments including a train museum, offices and hotels. ASOKE PRECINCT – Terminal 21 – Mixed-use commercial development comprising 9 floors of retail space and the Grand Centre Point Terminal 21 hotel. Direct link to the Asoke BTS and Sukhumvit MRT Interchange Stations. FYI CENTER – This unique center has been carefully designed to offer a seamless business-creativity working mode via a wide variety of activities that focus on igniting ideas and encouraging interaction between people such as large and small offices, hotel, innovative lab, creative center. Good Capital Upside and Rental yield Potential with Mega $50B Infrastructure Masterplan! [/vc_column_text][vc_single_image image=”6514″ img_size=”full” alignment=”center”][vc_column_text]Ananda is a Public Listed developer founded in 1999 by Chanond Ruangkritya. Ananda (ANAN) has been growing from strength the strength and listed on the Stock Exchange of Thailand since 2012. Ananda is one of the best known developers in Bangkok and is known as the Number One developer that builds the best apartments near to mass transit MRT or BTS/Skytrain stations in Bangkok. Ananda first launched its IDEO brand in 2007 and is now synonymous with stylish, moden, high quality and value-for-money products. The close proximity of Ananda’s projects to the MRT/BTS stations ensures higher premium, capital growth and rental occupancy compared to those further away. Ascent @ 456 brings together the best of the heritage of Balestier Road; a trading post for more than 100 years. The national monuments, renovation and lighting shops, famous eateries, new shopping malls and integrated developments come together, providing a haven of both retail and dining indulgences with private sanctuaries to retreat to. You can revel in the vibrancy and colour of the area, or watch it behind the calm and serenity of your private refuge. The choice is yours. facilities, country and social clubs also ensure families feel right at home. Explore the heritage of Balestier Road; gaze at pre-war terraced houses, marvel at the bravery of Dr Sun Yat Sen and his fight for a democratic Chinese republic. All these experiences are yours for the taking. Or just feed your greed at the many eateries. Have enough of history? Brave the shopaholics at the nearby malls, or join the tourists at the ever-popular Newton Circus. A well-known commercial area that is easily accessible by public transportation, and surrounded by many residential developments, this is the perfect place to grow your business. With 17 commercial units, there will definitely be one or more, to meet your needs. The distinctive honeycomb façade ensures shoppers will be drawn to you. 3-bedroom units in an exquisitely designed block, you can take the pick of a safe haven nestled in modern comfort. Make a splash into the cool waters of the terrace pool. Let the waters lull you into a feeling of deep and perfect calm. Step into your well-designed living room and feel instantly rejuvenated. This is where you can be yourself, celebrating life to the fullest. Tranquility emanates from every corner. Enjoy undisturbed respite, be rejuvenated and ready to face the brand new day ahead. Rare Freehold Mixed development in the city fringe. Ascent 456 offers good capital gain prospect.